If it’s a remedial massage you’re after, this is the only spot in town! We are the only clinic in Byron Bay specialising in remedial massage and the only massage clinic to have HICAPS for remedial massage. At Tonic Osteopathy & Massage we have a team of highly trained and experienced remedial massage therapists available 7 days a week. Your therapist can adapt your massage to suit your needs and style. 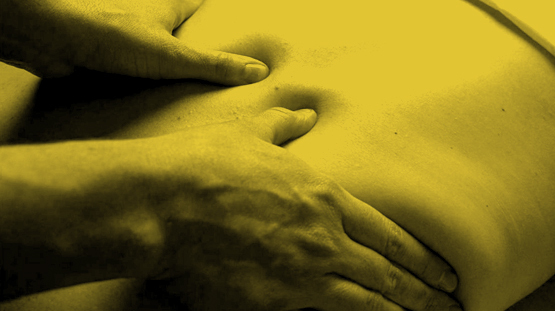 Remedial massage focuses on the deeper layers of muscle tissue. It aims to release the chronic patterns of tension in the body, through slow strokes and deep finger pressure on the contracted areas, by either following or crossing over the muscle fibers, fascia and tendons. The massage techniques can include trigger point therapy, deep tissue massage and stretching thereby creating an improved range of motion through the joints. If you have time on your side you can’t go past a ninety-minute remedial massage. A ninety-minute remedial massage gives your therapist the time to work deep into every tight muscle, and every tender point – leaving you feeling totally relaxed and walking on air. For most clients a sixty-minute remedial massage is just perfect – it’s our most popular remedial massage. In sixty minutes you can get your whole body worked on prior to doing focused work on the areas that are important to you. Our thirty-minute remedial massage is great for those on a tight time frame and allows enough time for specific targeted work, can be more intense than the other massage options. Our massage therapists have obtained the highest remedial massage qualifications available. Only massage clinic in Byron Bay to have HICAPS (We can swipe your card on the spot!). All sessions are carried out in brand new fitted out private, clean, air-conditioned rooms. Most central remedial massage clinic in town. Far enough off the street so no traffic noise!